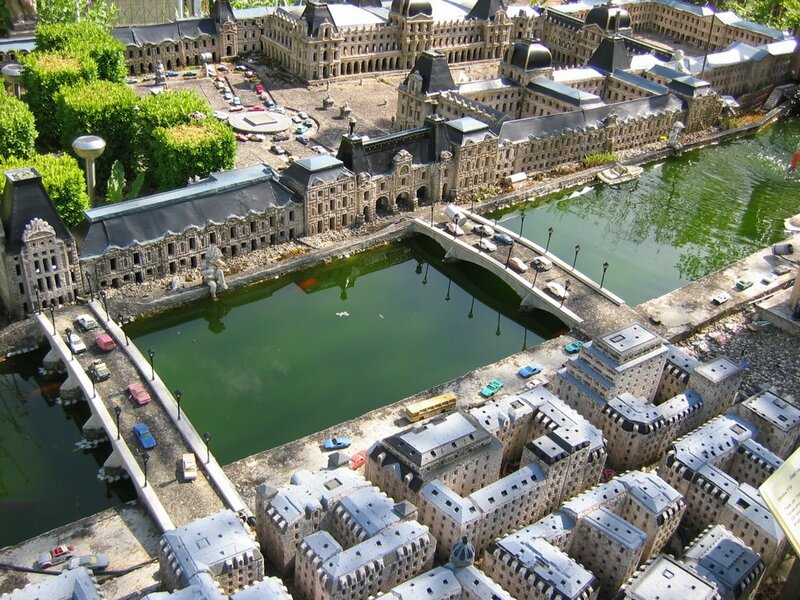 This isn’t tilt shift photography. 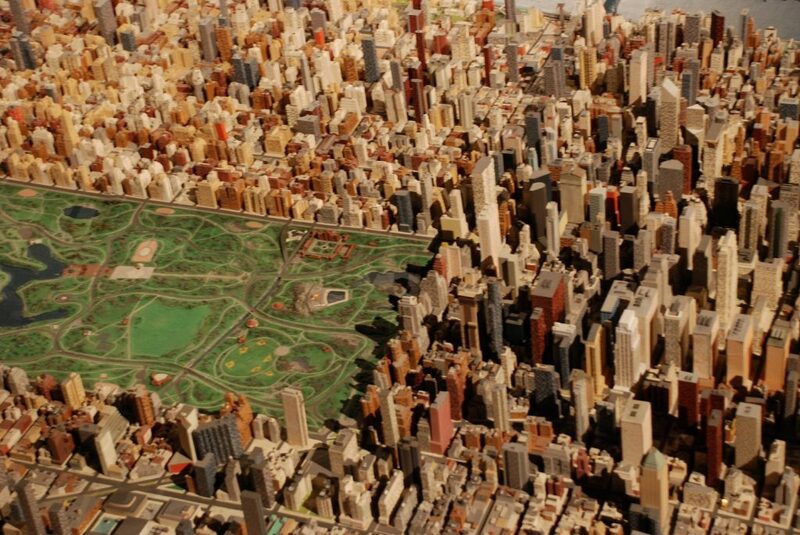 It’s the real, to-scale deal. 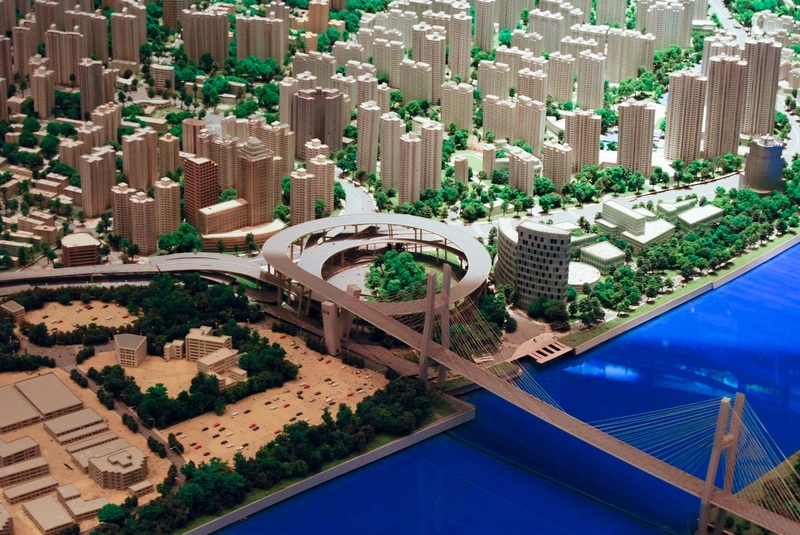 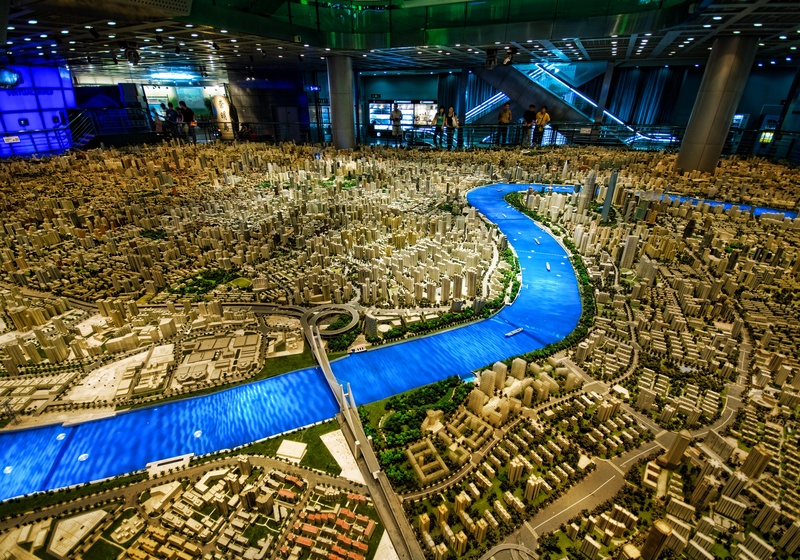 The Beijing Planning Exhibition Hall is where you’ll find this massive diorama of the Beijing metropolitan area. 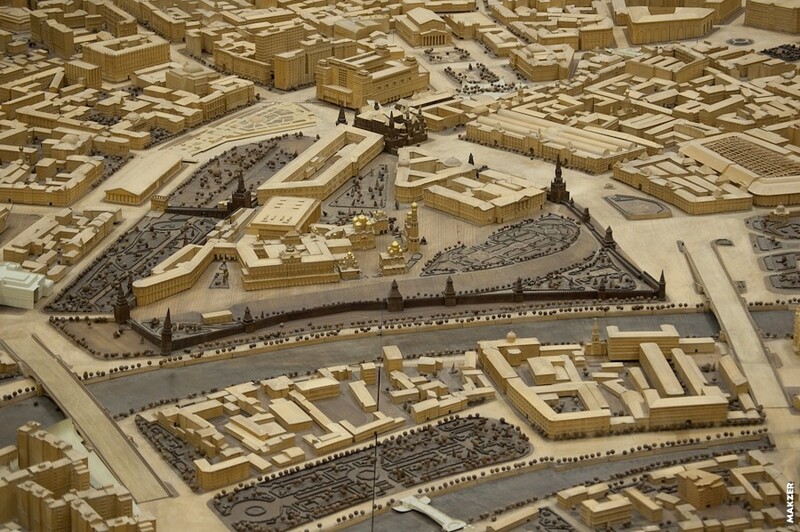 It took 150 workers one year to complete the 1:750 scale model. 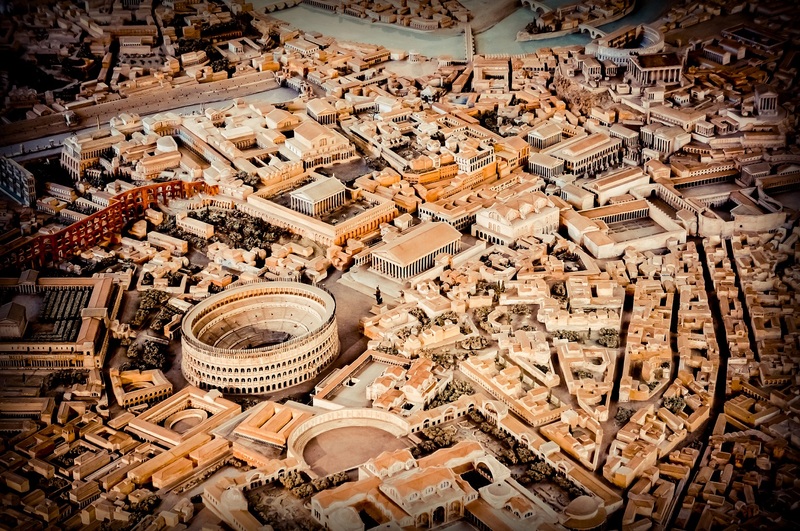 The diminutive despot Benito Mussolini commissioned this 1:240 scale model of Rome as it appeared in the time of Constantine. 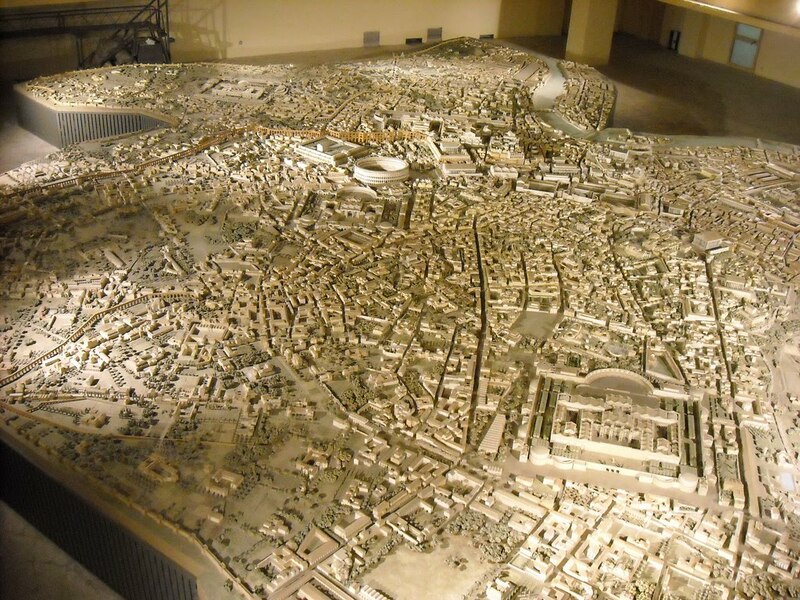 It is on display at the Museum of Roman Civilization. 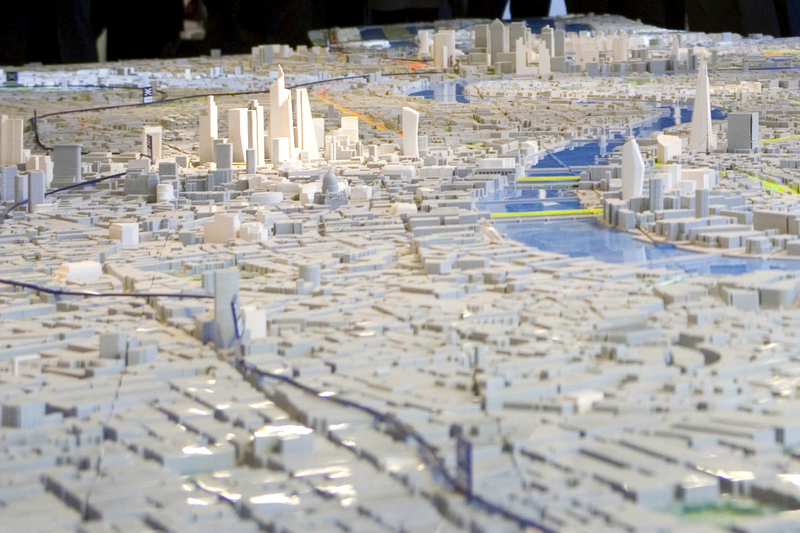 The images above show two different models of London from the same model-making company, Pipers. 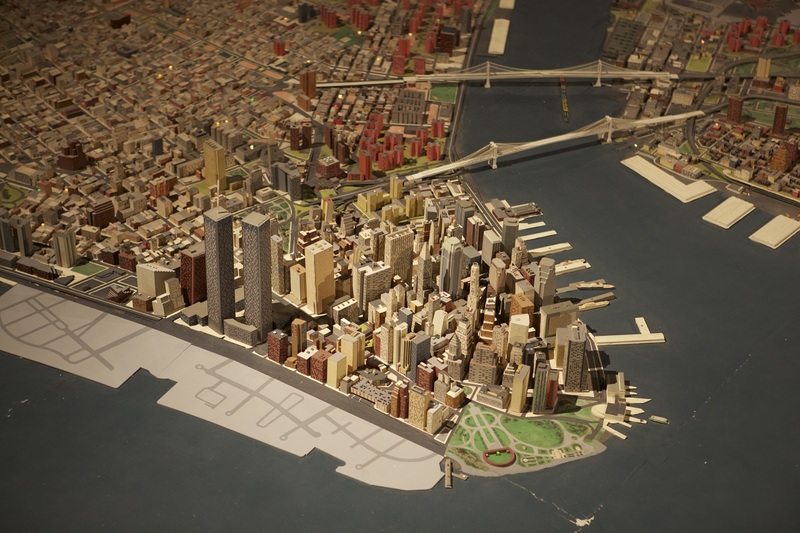 The top image is a 39-foot long 1:1500 scale of the city and features new and proposed buildings. 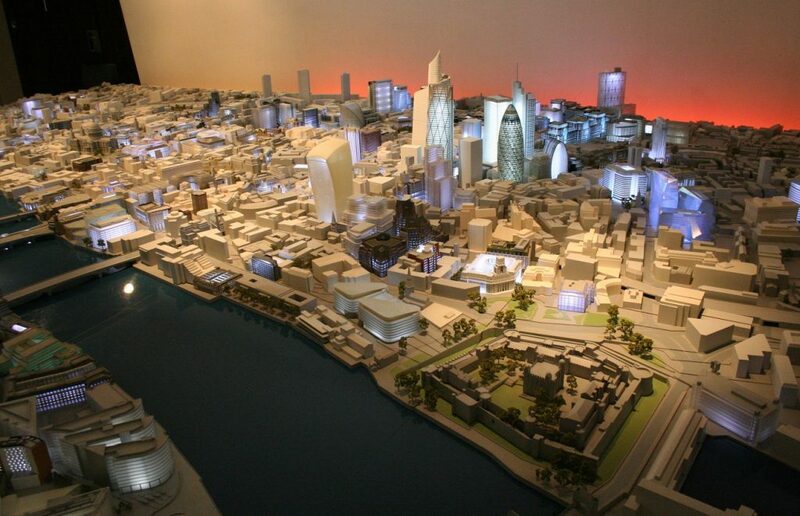 It’s on display at the NLA. Originally built as an exhibit for the 1964 World’s Fair, the Panorama of New York City at Queens Museum is a 9,335-square-foot model comprised of over 895,000 individual structures. 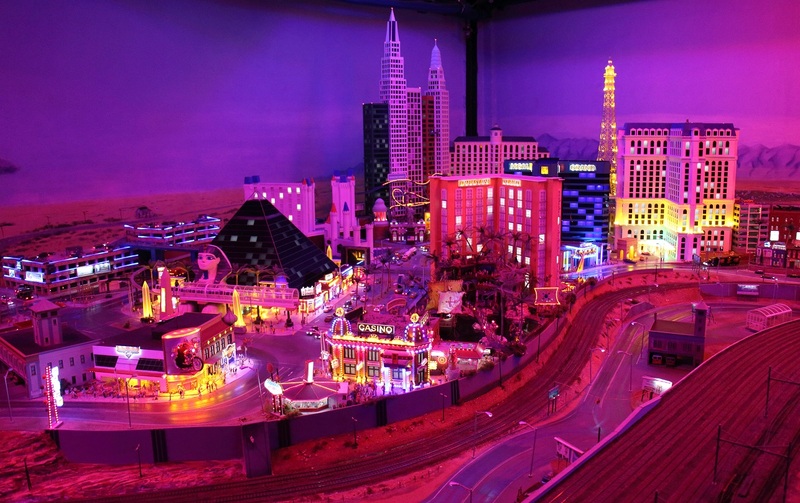 It required a team of more than 100 workers to build and cost $672,662.69 (adjusted for inflation that’s the equivalent of approximately $5.15 million today). 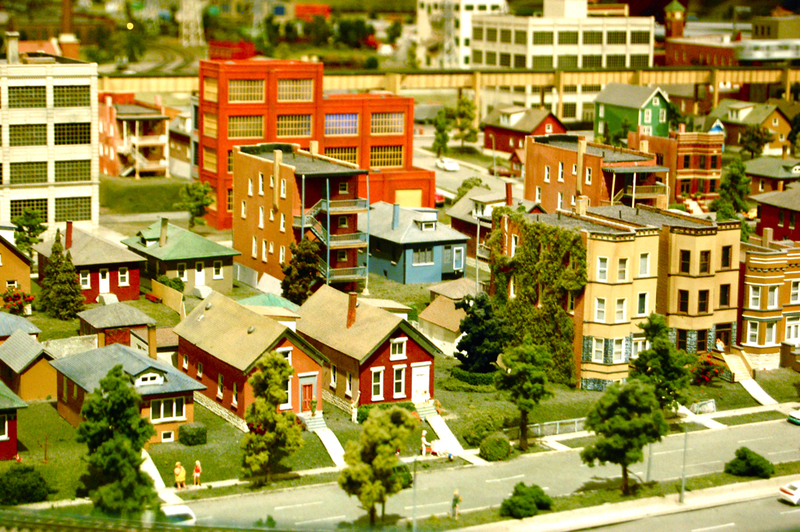 It’s last major update was in 1992. 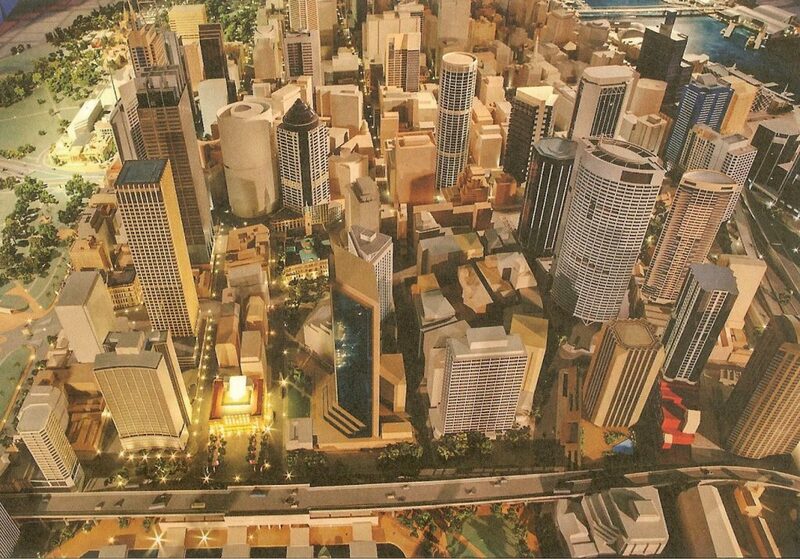 It took 15 model makers three months to construct this 1:500 model of Sydney, Australia’s Central Business District. 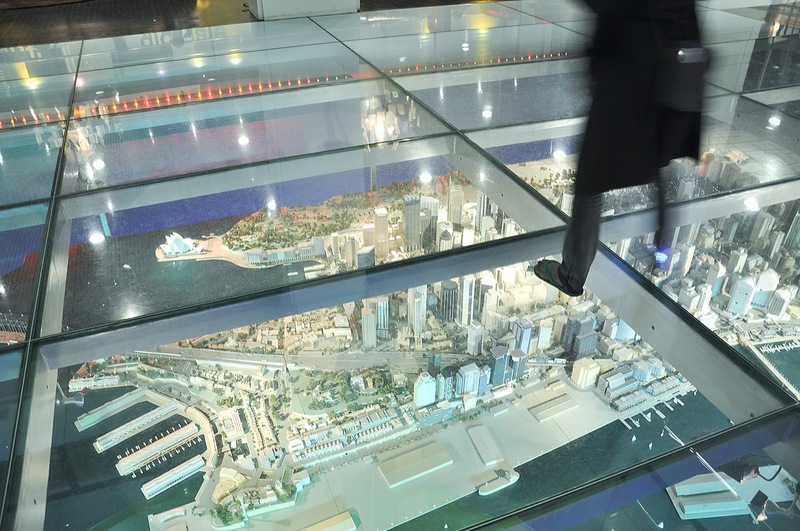 The structure weighs a metric ton and is on display beneath a glass floor in the lobby of Sydney’s Customs House. You can take a virtual tour of the model here. 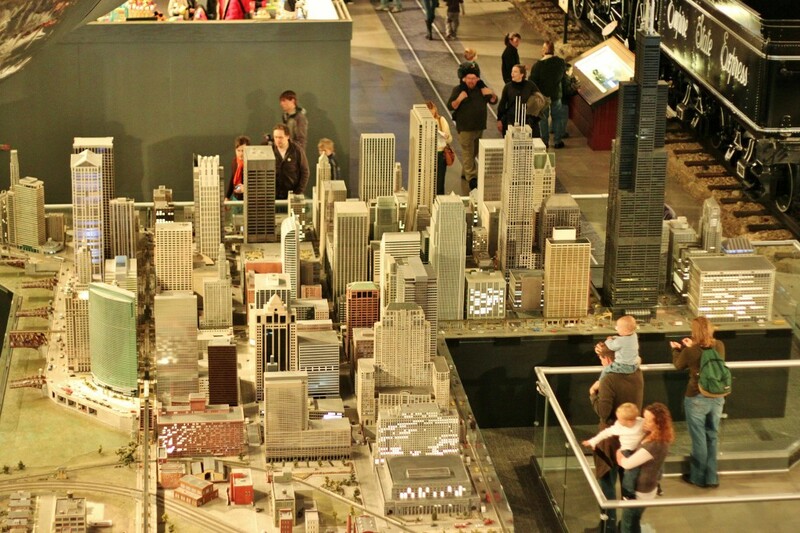 Chicago’s Museum of Science and Industry is home to this sprawling 3,500-square-foot remake of the Windy City. 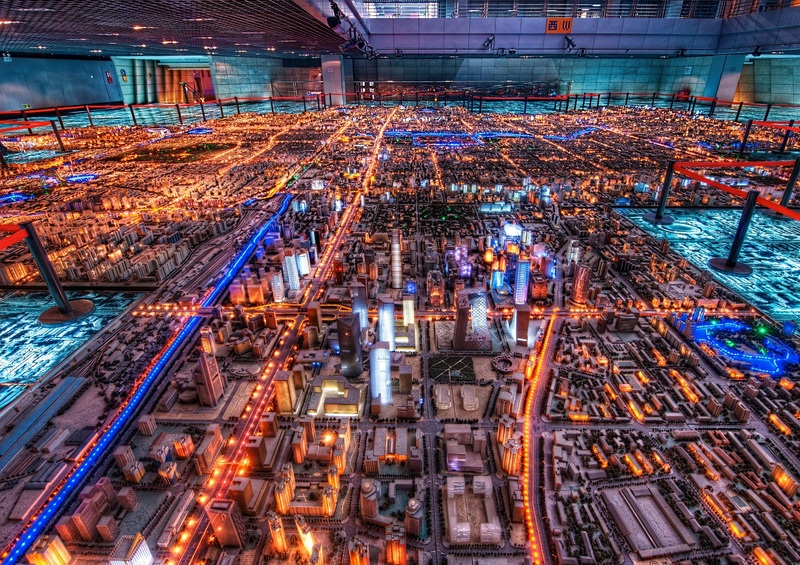 Hamburg, Germany’s 12,378-square-foot Miniatur Wonderland is the largest model railway in the world. 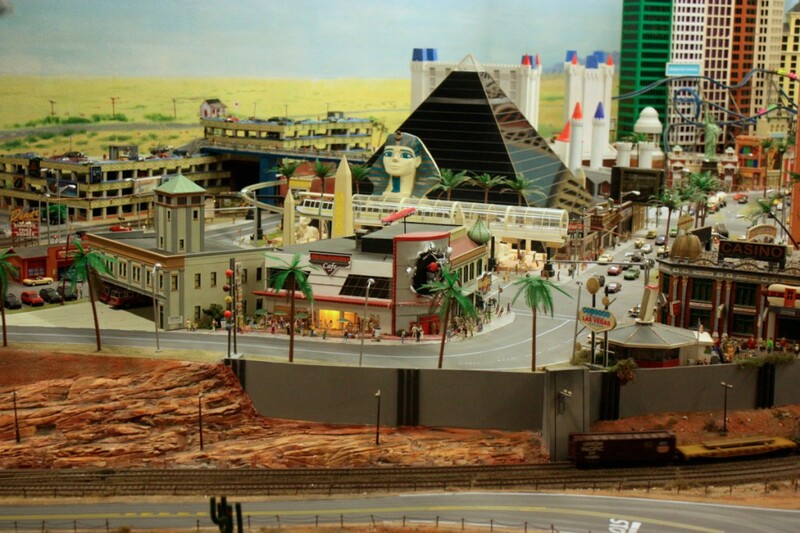 Built by twins Gerrit and Frederik Braun, it features sections that recreate European cities as well as metros in the United States — including Las Vegas. 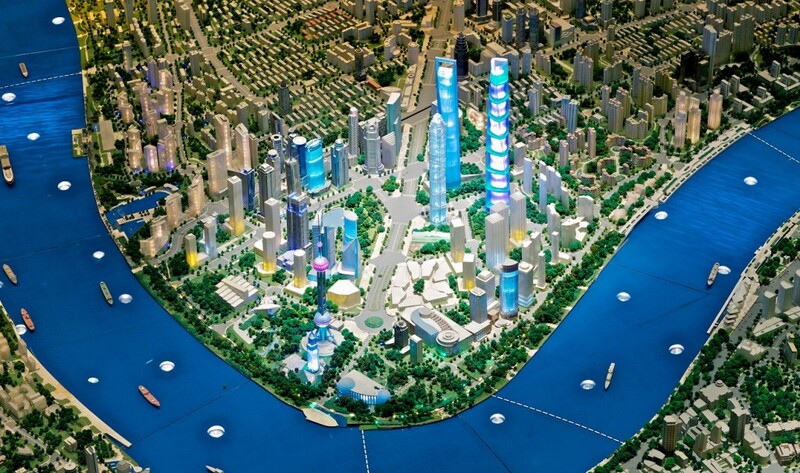 The centerpiece of the Shanghai Urban Planning Exhibition Center is a giant 1:500 scale model of the city. 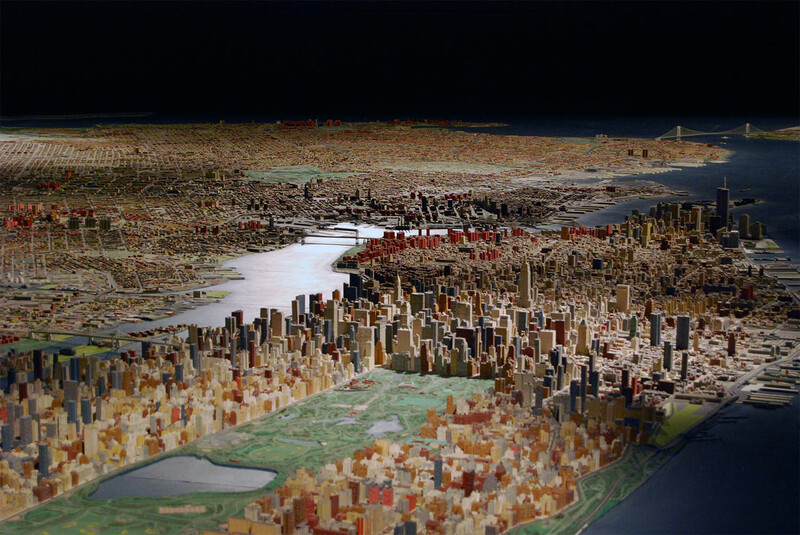 It spans a mind-blowing 5,200 square feet. 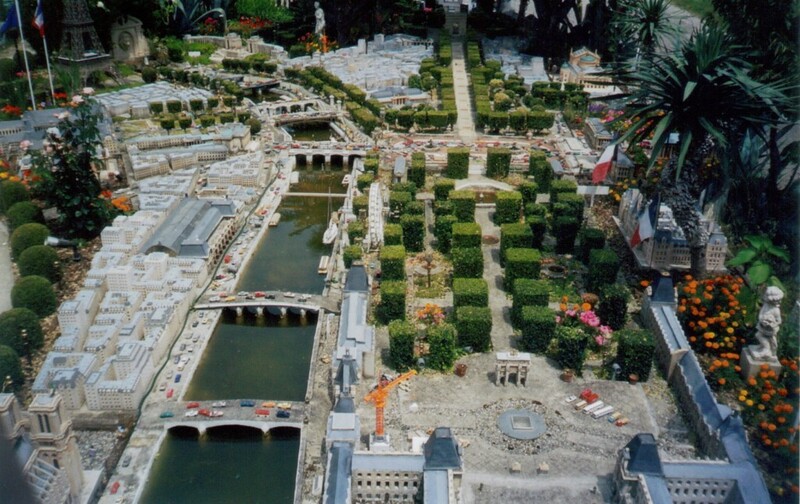 Private citizen Gerard Brion spent 15 years and logged more than 20,000 hours hand-crafting a miniature version of Paris in his garden using recycled materials such as soup cans and baby food jars. 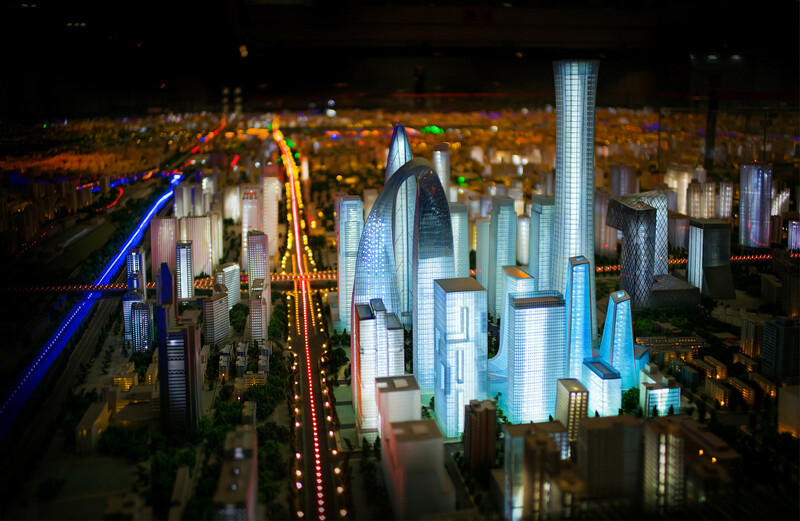 The result is a 1:130 scale model that attracts 150,000 visitors a year. 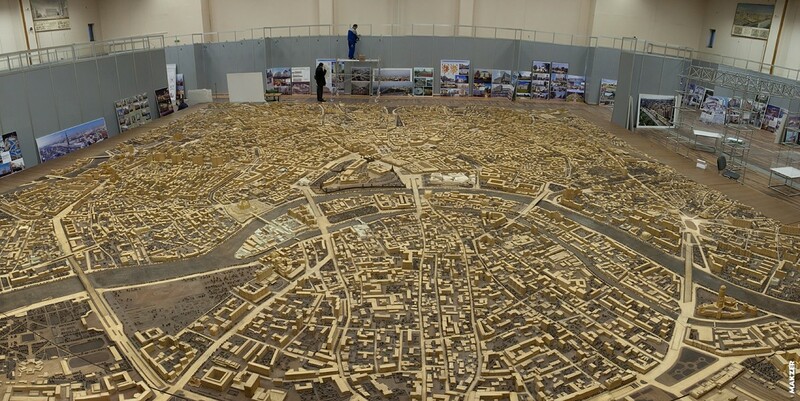 This 1:500 scale model of central Moscow is on display at the Dom Na Breskoy Center for Architecture and Construction. The structure took 18 years to build (1968 – 1986) and measures 1,550-square-feet. 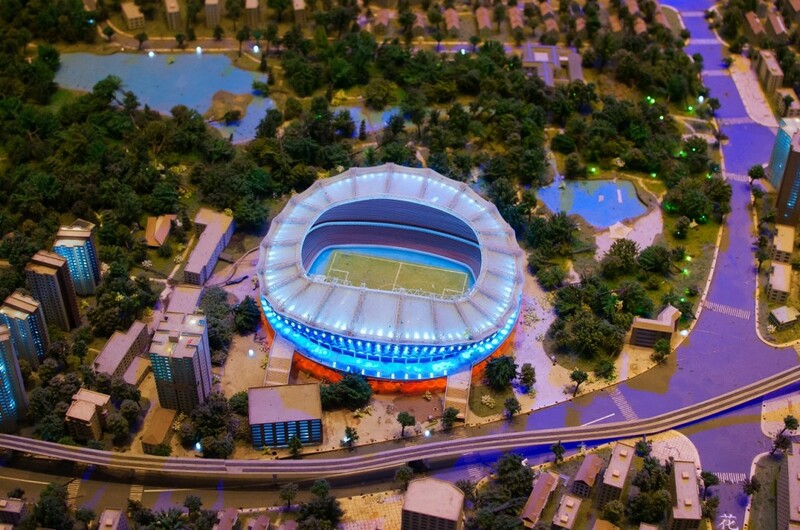 Since 1992 it has occasionally been updated by Dom Na Breskoy himself. 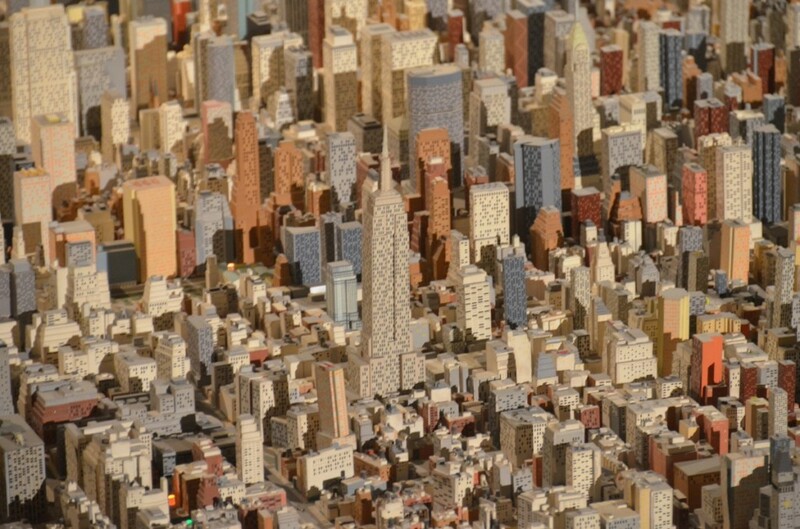 More images and info here.